Today, Thursday, 16th April, marks the birth, 260 years ago, of Louise Élisabeth Vigée-Lebrun (1755 – 1842), a pioneer in women’s art and the artist behind the portrait of Countess Golovine who gave her name to this blog. Through her work, Vigée-Lebrun radically changed the perception and respectability awarded to female artists. She is recognised today as the most prominent female painter of the eighteenth century; during her impressive career, she was one of the first women accepted into the Académie Royale de Peinture et de Sculpture in 1783 and was granted the patronage of Marie Antoinette for six years. Her style, while generally considered Rococo, also shows an interest in Neoclassicism. In reflecting the Age of Enlightenment, late eighteenth century art rejected the excesses of Rococo in favour of the style and spirit of classical antiquity. While Vigée-Lebrun’s work echoes these transitions, her work, and especially her portraits of Marie Antoinette, are now considered exemplary of Rococo. Vigée-Lebrun was born in Paris on April 16th 1755 to a hairdresser mother and artist father. Her father, Louis Vigée, a noted portraitist, was her first teacher. By the time she was in her early teens she was painting portraits professionally of various members of aristocracy and her works were exhibited at the Académie de Saint Luc. 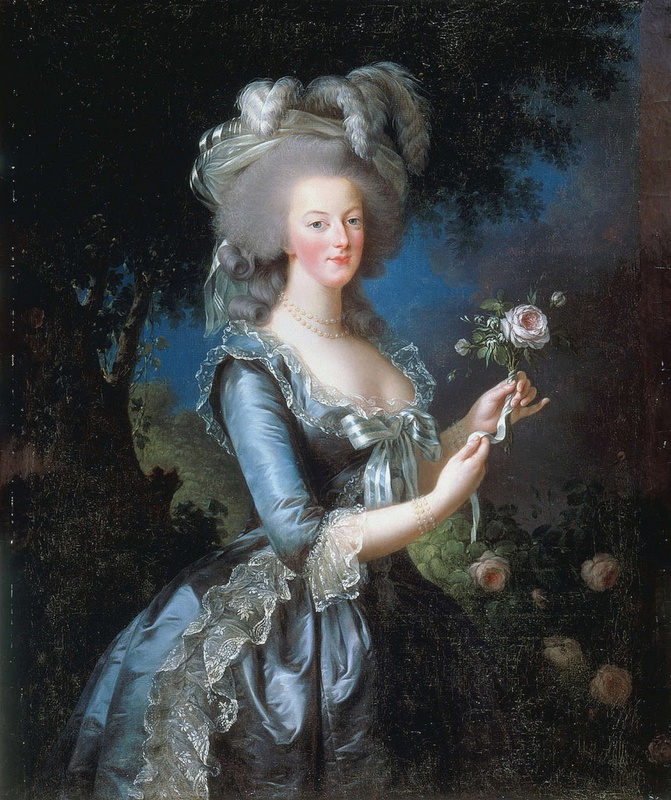 In 1779 her big break came when she was summoned to Versailles to paint Marie Antoinette. Having previously disregarded other portraits of herself, the queen was impressed by Vigée-Lebrun’s style; Vigée-Lebrun continued to paint the queen for six years, resulting in over thirty portraits. Given that this was a pre-photographic society, portraiture was incredibly important in the presentation of public figures. In 1785, Vigée-Lebrun was commissioned to paint the queen and her children. 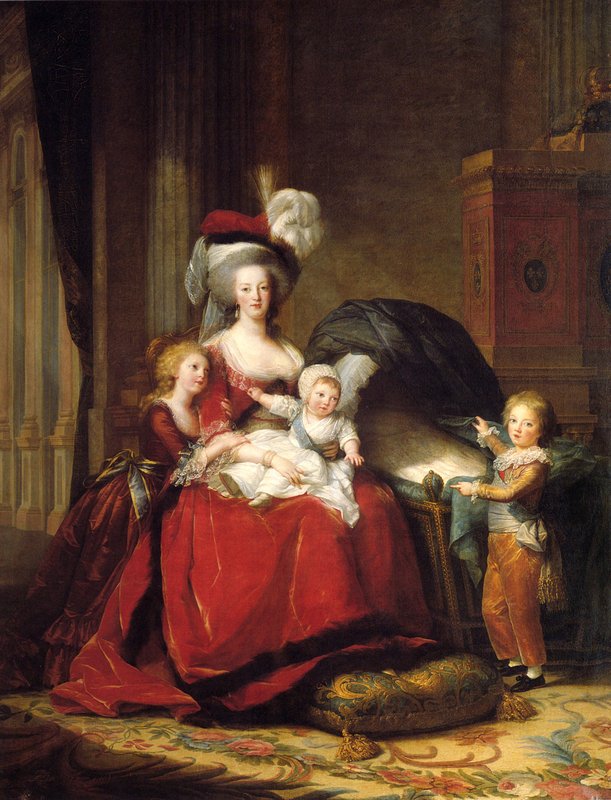 In response to ever-growing hostility, Vigée-Lebrun’s Marie-Antoinette and her Children (1787), which depicts the queen as a devout motherly figure, was instrumental in improving public opinion and in making her more relatable to the French people. Even today, Vigée-Lebrun continues to shape how we see Marie Antoinette. Due to her connection with the queen, in 1783 Vigée-Lebrun was begrudgingly accepted into the Académie Royale de Peinture et de Sculpture alongside three other women. With the outbreak of the French Revolution in 1789, Vigée-Lebrun, a strong Royalist with close connections to the royal family, left France. For 12 years she lived and travelled abroad, visiting Rome, Naples, Vienna, Berlin, St. Petersburg, Moscow and London, and painting portraits of aristocrats and prominent social figures. 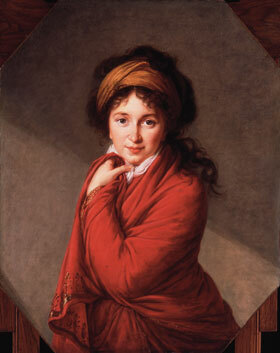 During her time in Moscow, Vigée-Lebrun met and befriended Countess Varvara Nikolaevna Golovine (1766 – 1821). Her portrait, which is housed in the Barber Institute of Fine Arts, depicts the Countess almost entirely enveloped in a red cloak. What leaps out of the portrait is her gaze; her eyes fix upon the viewer unwaveringly, and with unnerving candour. A ray of light falls into the portrait at an angle, cutting the background diagonally into a dark side and a light, with which the artist heightens the dramatic nature of the pose. There is an aspect of spontaneity and informality about the Countess’ pose which, along with her fixed stare, draws in the viewer. While travelling, Vigée-Lebrun maintained a place in high society and, as such, gained respect and influence. In 1810, she returned to Paris to live, remaining here and continuing her work, until her death on the 30th March 1842. In her memoirs, Souvenirs de ma vie (1835 – 1837), Vigée-Lebrun accounts that, during her career, she painted 900 pictures, including some 600 portraits and 200 landscapes. Her depiction of the French aristocracy before its downfall sees a world of decadence and luxury; her work, which pays great detail to the fashion and clothing of her subjects, documents a time in history that we will never see again. Her legacy is of a woman who, despite contemporary attitudes to female artists, proved herself one of the most technically skilled portraitists of the age, and perceptively aware of what her art could achieve socially.